For that main dad dude in your life. Men's Champion Sire hooded sweatshirt. 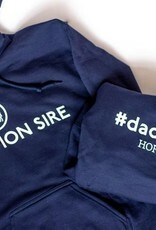 Navy blue sweatshirt with white imprint. 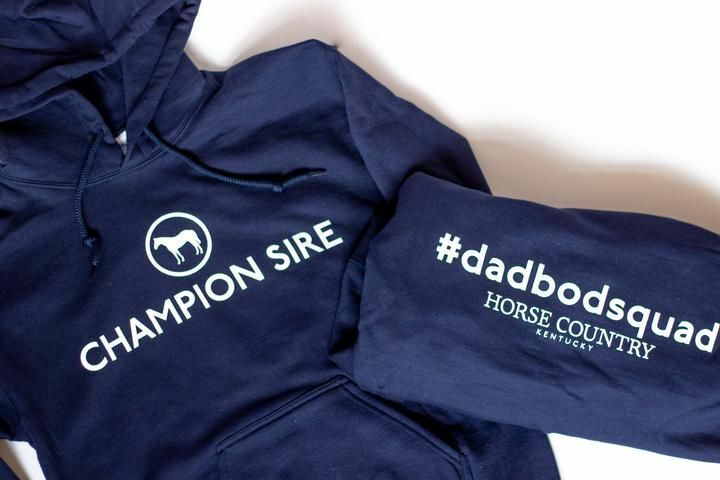 Champion Sire on front, #dadbodsquad and Horse Country logo on back. Classic adjustable hat with Horse Country text logo on front. Horse Country circle logo on side of hat, and www.visithorsecountry.com embroidered on back. Available in white or tan. Light blue short sleeve t-shirt with Horse Country diamond logo imprinted in copper. Show your Horse Country pride in this soft, eye catching shirt. Logo on front, full list of Horse Country members on back. Unisex. Superstar Athletes. Prolific Baby Daddies. Some Fine Baby Mamas. 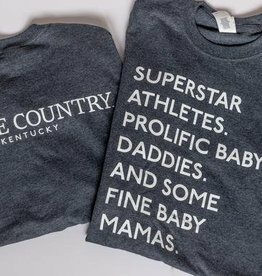 This unisex long-sleeve dark heather grey t-shirt shares some of what we're known for in Horse Country. Text on front, Horse Country logo on back. 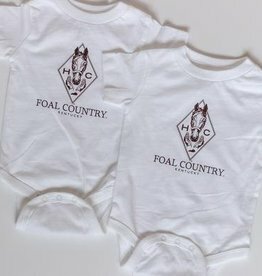 For the littlest Horse Country fans - a Foal Country onesie! White premium jersey onesie with dark brown imprint.